Composting is the aerobic decomposition of biodegradable organic matter, producing compost. Compost products can be used as a high quality and hygienically safe fertiliser. Composting can be divided into home composting and industrial composting. 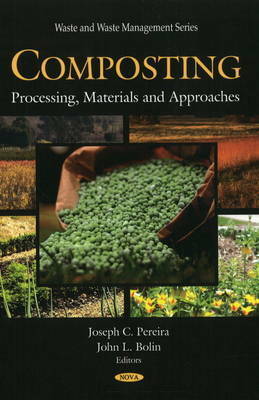 Essentially the same biological processes are involved in both scales of composting, however techniques and different factors must be taken into account. This new book provides a short historic survey of composting which has been performed since the beginning of agriculture and horticulture as it can be operated with marginal technical equipment. This book also presents new methodologies including the use of earthworms in agroecosystems and ways to address problems that occur in a composting reactor that can be solved by a better understanding of the microbial community.